A Must-have Sudoku book for beginners! Perfect for sharpening concentration and reasoning skills. 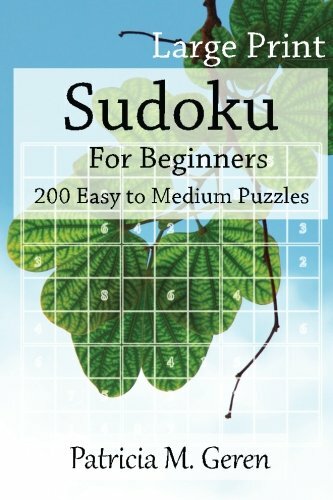 This Book Contains 100 Easy and 100 Medium difficulty Sudoku Puzzles with answers for beginners Sudoku Puzzlers. Every puzzle in this Sudoku puzzle book has been carefully checked to ensure that each puzzle has only 1 possible solution.